Photo Jean-Louis Donnadieu (juillet 2010). Le portrait se trouve dans le hall d'entrée du château de l'Isle-de-Noé, dans le Gers. «Le plus grand des auto-expérimentateurs de l'histoire de la recherche sur le sommeil et les rêves. 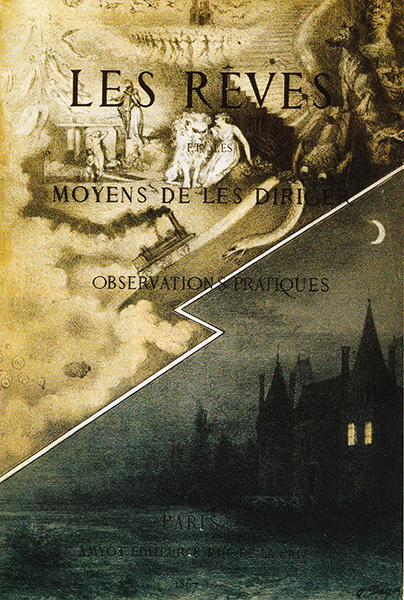 Complétant la réédition intégrale de son maître-livre, les Rêves et les moyens de les diriger, ce second volume lève enfin le voile sur la vie et la carrière d'un personnage longtemps mystérieux, et vient réhabiliter aux yeux du grand public l'oeuvre de Léon d'Hervey de Saint-Denys, tant celle de l'onirologue que du sinologue. Venus rendre hommage à Léon d'Hervey lors de la commémoration du centenaire de sa mort, les auteurs et des spécialistes nous livrent, à la lumière des recherches contemporaines les plus récentes, une analyse fouillée de ses travaux et de ses découvertes. De nombreux documents inédits et la reproduction d'une partie de sa correspondance familiale fournissent les éléments biographiques indispensables pour une saisie à part entière de la vie onirique et de l'oeuvre du marquis. Préfacé par Claude Roy, l'ouvrage, s'enrichit de 18 planches en couleurs et de nombreuses illustrations in texte. En annexe se voient publiés le répertoire des rêves cités et l'index auteurs-matières de Les Rêves. Réédition intégrale de l'oeuvre originale publiée par la librairie Amyot, y compris l'appendice, la couverture et le frontispice. 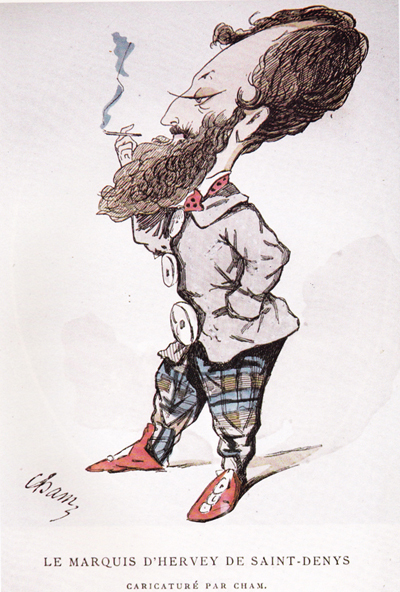 En 1867, le français d’Hervey de Saint-Denys publiait de manière anonyme le fruit de sa recherche introspective, les Rêves et les moyens de les diriger, un ouvrage d'avant-garde sur le sommeil et les rêves, et les Rêves lucides en particulier. En 1978, la communauté scientifique confirmait l'existence de cette faculté remarquable découverte par Léon d'Hervey la conscience de rêver au cours du rêve porte ouverte sur la maîtrise de notre univers onirique et outil d'une science nouvelle : l'onironautique. Pont jeté entre nos mondes intérieur et extérieur, le Rêve lucide n’offre pas seulement de nombreuses applications, tant au plan psychologique que physiologique, il est au coeur même de l’évolution de notre conscience. Peu d’ouvrages aussi marquants jalonnent l'histoire de l'onirologie. Pour les spécialistes comme pour les amateurs, la réédition intégrale d'un livre devenu rarissime (il n'en subsiste plus qu'une vingtaine d'exemplaires) s'imposait. publiée par la librairie Amyot en 1867. Né en 1832 à Paris, mort en 1874 à Paris, Alfred Darjou est un peintre et dessinateur français. 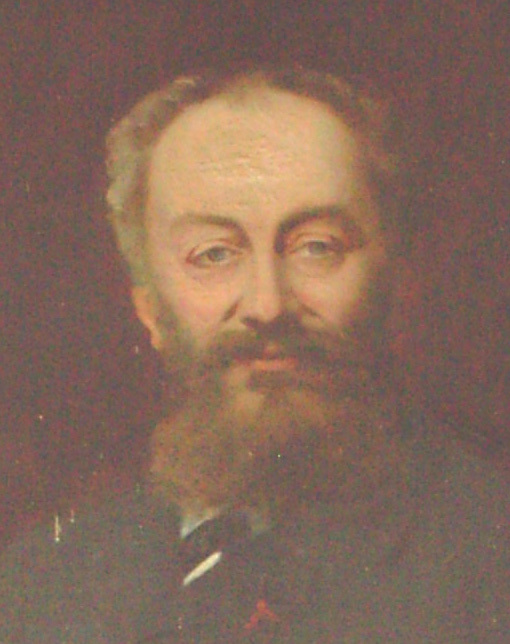 Fils du portraitiste Victor Darjou (1804-1877), Alfred Darjou étudie avec son père et Léon Cogniet et expose pour la première fois au Salon de 18532. Sa représentation d'une exécution des Fédérés est souvent utilisée pour illustrer la Commune de Paris. est un important peintre réaliste espagnol du XIXe siècle. 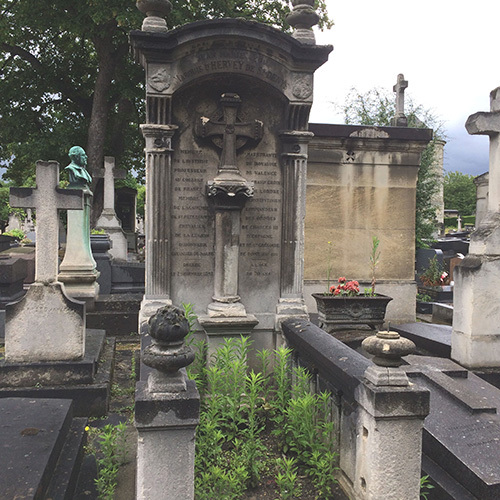 A gauche, une sépulture au nom de De Waru, au cimetière de Saint Forget (canton de Chevreuse), dans les Yvelines. 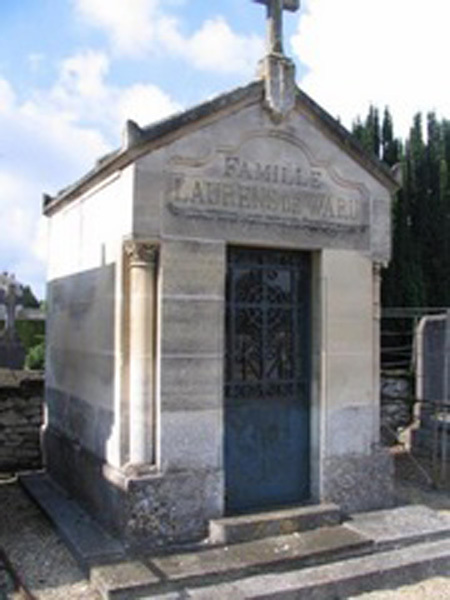 A droite, le caveau de la famille De Waru, à Senlis. Où est donc enterrée Louise de Ward ? 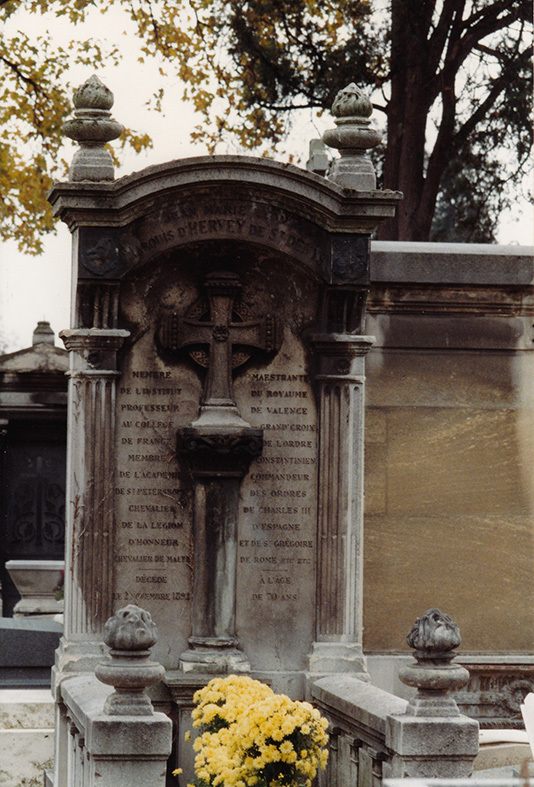 Epouse en premières noces de Léon d'Hervey de Saint-Denys (mariage à Paris 8 le 11/6/1868), Louise de Ward se remarie à Londres avec Jacques Laurens de Waru, le 19/3/1896. 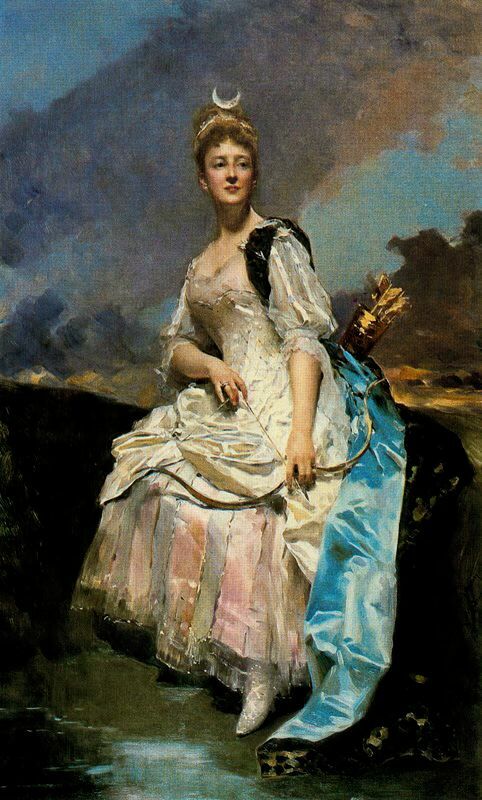 Grande chasseresse (Dampierre, Breteuil), connue sous son nom d'artiste peintre comme Louise Dubréau (du château du Bréau), elle a été l'inspiratrice de Marcel Proust. Selon Michel Charon, membre actif de l'AMD, elle aurait été également une "bonne amie" du Roi Edouard VII. * Voir la biographie de Léon d'Hervey, éd. Oniros, p. 43. IT WAS a dangerous undertaking, but the Marquis d’Hervey de Saint-Denys was nothing if not daring. Walking along the street, he entered the tallest building he could find, and climbed to a window in its highest room. Tranquillity settled on him as he paused a moment to admire the “perfection” of the scene below. Then he jumped. Writing in the 19th century, the marquis was among the first to seriously examine the bizarre world of dreams. But whereas others confined themselves to passive observation, he had a rare trick up his nightshirt sleeve. He could consciously control his nocturnal wanderings: he was a lucid dreamer. Besides filling the night with pleasurable encounters and adventures, this allowed him to experiment with the way the mind constructs dreams – from the inside. Jumping off buildings was just one of many tests he would carry out after his head hit the pillow. His work lay forgotten for more than a century. Now we are rediscovering just how prescient many of his ideas were, and how his methods might offer a window on human consciousness more generally. “There’s no doubt he was a pioneer,” says dream researcher Allan Hobson of Harvard Medical School. Records of the marquis’s waking days are perhaps less vivid than his dream diary. 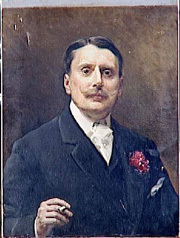 He was born into an aristocratic family in Paris in 1822 as Marie-Jean-Léon Lecoq. A bright student, he later became a respected scholar of the Orient and translator of Chinese literature. As a 13-year-old, though, he was easily distracted. When his eyes weren’t drifting from the works of Tacitus to the attractive florist’s assistant passing along the street, he took to drawing scenes from his dreams. It became a consuming passion, to the point that, after 200 straight nights of observations, he found himself in the peculiar situation of dreaming about recording dreams. He awoke frustratedb: what if he could have gone one step further and gained gain full awareness of his dream stateb? “Think of all the interesting details I could have collected,” he wrote. He didn’t have to wait long for another opportunity. A week later, the same vision of recording his dreams came to him and, this time, awareness stirred in his sleeping mind. “I had a definite sensation that I was dreaming.” Fifteen months later, he was lucid dreaming every night. Lucid dreaming, and the ability of individuals to induce the state in themselves, is now a well known phenomenon, but the young Lecoq was entering uncharted territory. He soon found that he was conjuror as well as explorer. In one vision, he found himself witnessing a woman being attacked on a deserted street by two masked assassins. With no weapon to defend her, he took a moment to imagine the “yataghan” sword that hung across the fireplace in his home. “Hardly have I expressed to myself this desire when I find the terrible blade in my hand and use it most effectively.” Another time, he found himself pursued by a monster through a labyrinth of interconnecting rooms. Eventually summoning the will to turn and confront it, he saw it “whistling and cavorting in a manner which, once it had ceased to frighten me, appeared comic”. The demon eventually faded into a “floating bundle of rags”. At some point his swashbuckling adventures inspired the marquis to take a more scientific interest in his dreams. The first psychologists were just beginning to explore the nature of the sleeping mind, but he realised that his skills gave him a unique opportunity to probe the dreamscape from within. Top of his itinerary was identifying where dreams come from. Spiritualists at the time thought that dreams were supernatural in origin, but the marquis proposed that they were patched together from old recollections. To test the idea, he would pause in his lucid dreams to note details of his surroundings, such as street signs and shop fronts, and then, on waking, compare them with diaries of his daily life. Sure enough, there was a rational source for all that he saw: even the cavorting monsters of his nightmares could be traced to gothic bas-reliefs he had seen on the side of a cathedral. It wasn’t quite the clinching proof he wanted, however – which was why, in his dreams, he launched himself from that tall building. “Jumping out of a fifth-floor window, blowing my brains out or cutting my throat with a razor were evidently situations I had never experienced,” he wrote cheerfully. “Therefore, by attempting to induce them in a dream, I should be setting my mind an interesting test.” And his mind would invariably avoid these leaps into the unknown by subtly shifting scenes. Try as he might, he just could not break through the barriers of his memories. The marquis also recognised that dreams are not a direct replay of waking life, but often contain bizarre juxtapositions of characters and places that sometimes even morph into one another. As our thoughts meander, one aspect of a memory may bring to mind another – an important insight that hints at modern theories of memory consolidation. 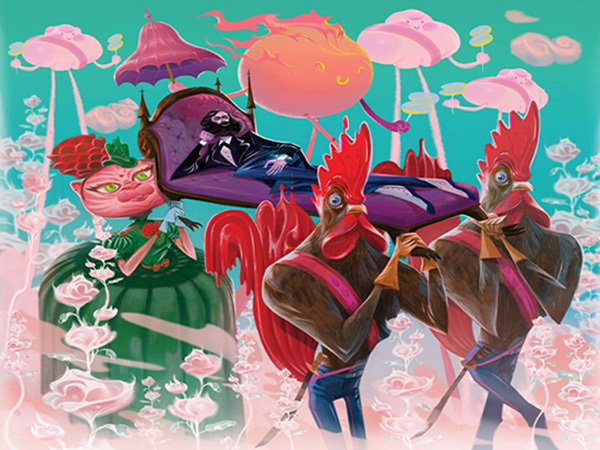 For the marquis, it offered an entirely novel way of setting his dreams in scene. During a journey to the mountains of the Vivarais in southern France, he saturated himself in the overpowering scent of a perfume. Once he had returned home, he stoppered the bottle and waited a few months before asking his servant to sprinkle the perfume on his pillow on random nights while he slept. On those nights, he saw visions of the chestnut trees and rocky landscapes of his travels. These experiments soon took a more libidinous direction for the marquis, who remained a bachelor until the age of 46. At court dances, he struck a deal with the conductor to play certain waltzes when he was accompanied by two of the most popular women at the ball. Playing the same tunes as he slept often prompted their handsome figures to appear to him. Another time, he chewed an orris root while painting a scantily clad woman in a scene from Ovid’sMetamorphoses. When his servant later placed a strand of the root in his mouth as he slept, the tart flavour evoked a vision of the woman at a play, wearing “a costume that would have hardly been acceptable to the theatre committee”. What followed is left to our imaginations. “The remainder is of no interest here,” he wrote. Unfortunately, those later architects used entirely different foundations. Sigmund Freud was apparently intrigued by the marquis’s book, but failed to get hold of a copy. His psychoanalytical theories aimed to read dreams for symbolism of repressed desires, and eventually dragged dream-reading into scientific disrepute. It is only with the invention of “mind-reading” technologies such as EEG and fMRI that researchers have slowly rebuilt it as a serious discipline. Recent brain scans, for instance, have shown that the hippocampus, which consolidates our initial memories of an event, is highly active during sleep. It appears to transmit the recollections to other regions of the brain for long-term storage. Part of this process probably involves associating old and new experiences to create our heavily cross-linked autobiographical memories, perhaps projecting them both onto the dreamscape in the bizarre combinations noted by the marquis. Some experiments have even tried to boost subjects’ recollection by priming their sleeping brains with smells and sounds associated with certain memories, in studies remarkably reminiscent of the marquis’s investigations. More recently, researchers have been revisiting lucid dreaming to understand what happens when, within a dream, someone becomes aware of the fact they are dreaming. Lucid dreams could be of philosophical importance, says Hobson, since the advanced traits like self-awareness and a sense of agency that characterise lucid (but not normal) dreams are also central to consciousness in humans. What we have found so far suggests lucid awareness is linked to high-frequency activity in the brain’s frontal and parietal lobes. Understanding the connectivity, processing and evolution of these regions could therefore explain how the mind constructs higher awareness. It might also illuminate the timing of the young Lecoq’s very first brushes with lucid dreaming: children and young adolescents seem more likely to spontaneously experience it, perhaps because the rewiring of neural circuits at this age triggers heightened brain activity in the frontal regions. Article publié dans le magazine New Scientist, 17/12/2013. Article complet transmis par M. Alasdair Cross (Producer, BBC Radio). L'étymologie de "Bréau-Sans-Nappe" reste assez obscure. Selon la légende, le qualificatif de "Sans-Nappe" aurait été attribué en souvenir d'Henri IV, qui après une partie de chasse, déjeuna dans le parc du château, sur une table en pierre, de fort bon appétit et sans nappe. Selon les historiens, le nom tire son origine de la famille Sannapes ou Sanap, vieille famille féodale dont il est fait mention au Moyen-Âge dans l'histoire de la contrée. C'est ainsi que l'on trouve trace, dès 1402, d'un hommage féodal rendu au seigneur du Plessis, du fief du "Bréau Sannape ou Sans-Nappe". Le procès verbal de la séance du 12 octobre 1556, dans laquelle lecture fut donnée de la nouvelle rédaction des coutumes de Montfort, mentionne la présence des personnes possédant les biens nobles de la région : "Antoine de Sillans, sieur du Bréau-Sans-Nappe, y a comparu avec les mamans et habitants de Boinville-le-Gaillard et autres paroisses". 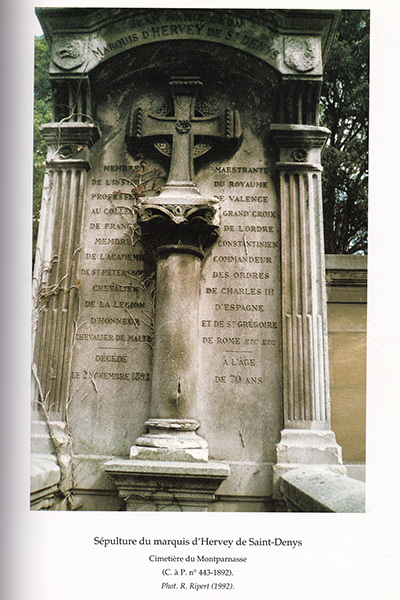 Le seigneur du Bréau, que l'acte ne nomme pas, était donc, à l'époque troublée des guerres de religion, Antoine de Sillans, marquis de Creuilly. Le duc de Guise en fit son centre d'opérations contre les troupes du roi de Navarre (bataille d'Auneau, en 1857). Les descendants restèrent possesseurs de cette seigneurie pendant plus d'un siècle comme les registres religieux en font foi. "En l'année 1643, le jour n'est pas indiqué, sur les 7 à 8 heures du matin, est décédé noble homme Charles de Lumbourg, écuyer, seigneur de la Fouilly, au château du Bréau-Sans-Nappe, lequel fut un huguenot de la prétendue religion réformée et élevée en icelle jusqu'à l'âge de vingt-huit ans. Lequel, après avoir été frappé de deux coups d'épée tant au corps qu'à la cuisse droite en se battant en duel aurait été amené audit château par le consentement de Monseigneur le marquis de Creuilly, seigneur dudit lieu, où il est malade pour le cas ci-dessus". "Nous soussignés, Curé de Notre-Dame de Boinville-Le-Gaillard, avons, à la requête de mondit seigneur, étant assisté du Saint Esprit, catéchisé l'espace de deux jours, à diverses fois, lequel redevint au giron de l'église dans laquelle il est mort deux jours après". En 1663, a été baptisée : Antoinette-Henriette, fille de noble personne Frédéric de Canaye, seigneur de Fresnes, Montereau et autres lieux. Le parrain a été noble personne Antoine de Sillans, chevalier seigneur de Creuilly et la marraine : Dame Henriette de Refuge, sa femme. Frédéric de Canaye, dont il est parlé ici, avait épousé en 1661 une fille de Antoine de Sillans, seigneur de Creuilly, du Bréau et de Boinville. Antoine de Sillans meurt le 17 janvier 1676, son corps est inhumé avec ses ancêtres à Creuilly en Normandie, il avait 72 ans. Deux ans après, le 26 octobre 1678, est décédée à Paris, Henriette de Refuge, femme en premières noces de Monseigneur le comte de Flers, et, en deuxièmes noces de Monseigneur de Sillans. En 1725, le Bréau est aux mains des comtes de Sainte-Mesme, qui le possèdent depuis plusieurs années déjà. Cette année là, Elie Guillaume de l'Hôpital, comte de Sainte-Mesme, assiste au mariage de Damoiselle Marie-Madeleine Thirouin, fille de Mathurin Thirouin, receveur de terres seigneuriales du Bréau. Guillaume de l'Hôpital est dit seigneur de Boinville, Bréthencourt etc. ..
En 1738, est inhumé dans l'église de Boinville, Messire François Haudry, avocat au parlement, bailly des bailliages de Rochefort et de Bréthencourt, demeurant au château du Bréau. La seigneurie passe ensuite des mains de Elie Guillaume de l'Hôpital à la marquise de l'Hôpital. Charles-Jules de Rohan, prince de Rochefort, est, en 1765, seigneur du Bréau et de Boinville. 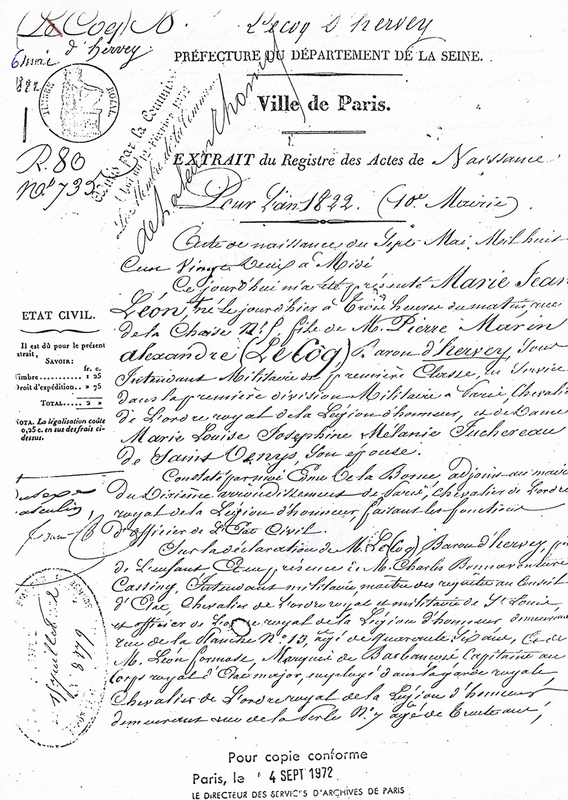 En 1774, a lieu le mariage de Bruno Quinet, garde-chasse du prince de Rochefort. 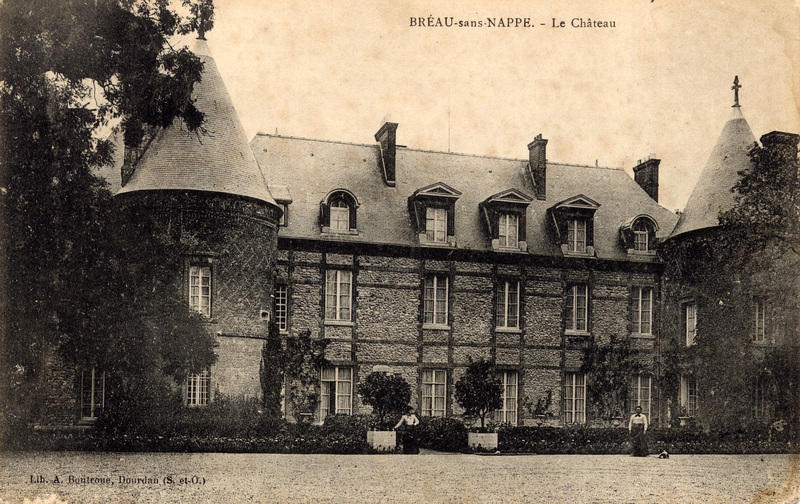 A cette époque, le château est habité par M. de Verteillac. Le 8 mars 1774, notification du contrat survenu entre César-Pierre Thibaut de la Brousse, chevalier, marquis de Verteillac, seigneur de Sainte-Mesme, et le procureur fondé des curés et marguilliers de Boinville-le-Gaillard, aux termes duquel le marquis reconnaît être débiteur d'une rente de 40 livres envers la communauté des filles et veuves établies dans la paroisse de Boinville. Cette rente ayant été constituée en 1713 par Marie-Charlotte de Romully de la Chesnelay, veuve de Guillaume-François de l'Hôpital, seigneur du Bréau. En 1786, le château est habité par Louis-Henri-René de la Barre, écuyer, seigneur de Montguignard, marquis d'Harbouville. Le château, après avoir subi comme tant d'autres les effets de la tourmente révolutionnaire de 1793, a été possédé en 1810 par Rivière de Lille. Mme la baronne d'Hervey, veuve du général Trousset mort dans la campagne de Moscou, en fit l'acquisition en 1815. 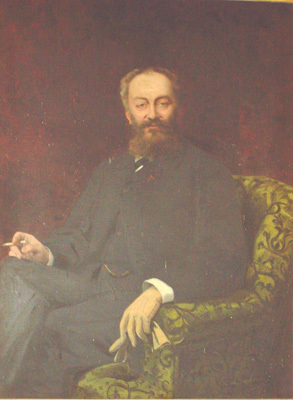 Le baron d'Hervey, qui mourut en son hôtel à Paris en 1858, habita le château avec sa famille : le marquis Léon d'Hervey, son fils, le comte et la comtesse de Noé et la comtesse veuve Luppé. 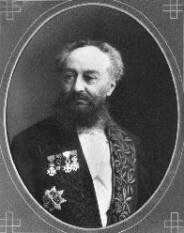 Le baron d'Hervey de Saint-Denis était intendant militaire, chevalier de l'ordre de Saint-Louis, commandeur de la Légion d'Honneur, Grand Croix de l'ordre royal et militaire de Saint-Ferdinand d'Espagne ... Il fut maire de la commune de Boinville depuis 1848. C'est lui qui fit construire la mairie actuelle et l'école. Son fils [Léon d'Hervey] était professeur de chinois au Collège de France ; il avait été nommé membre de l'Académie de Saint-Pétersbourg. Il mourut en 1891. 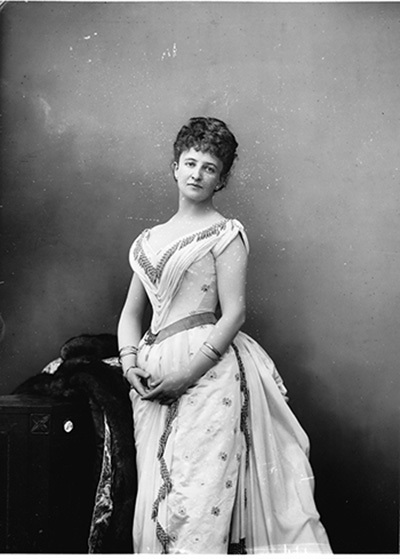 Sa femme, née baronne Wart, épouse en secondes noces en 1896, Jacques Waru. 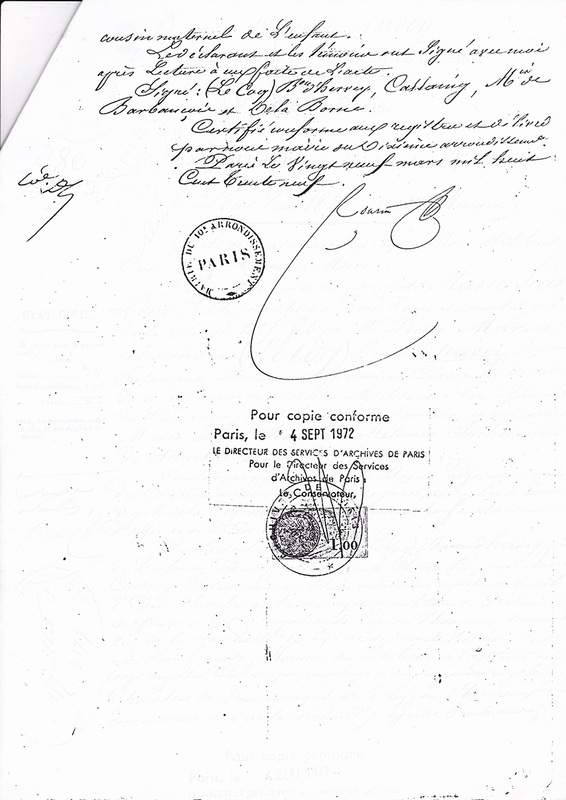 Elle fait l'acquisition de la ferme située près des grilles d'entrée et qui appartenait auparavant à Mme de Noé et à Mme veuve Luppé, toutes deux sœurs du baron d'Hervey. Le château fut loué à diverses reprises et ceux qui l'occupèrent alors, comme la baronne de Sélières, marquèrent souvent leur passage par de généreuses libéralités envers les habitants. Isabelle II, reine d'Espagne, détrônée en 1869, l'habita de juillet à septembre 1901. 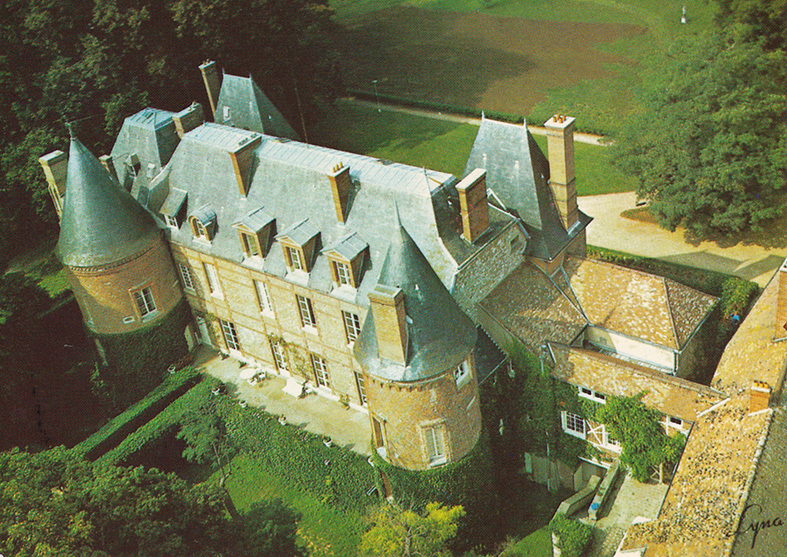 Au début du XXème siècle, le château et son parc de 34 hectares appartiennent à Mme Grace Whitney Hoff, puis à M. Labouchère (gendre de Mme Hoff). 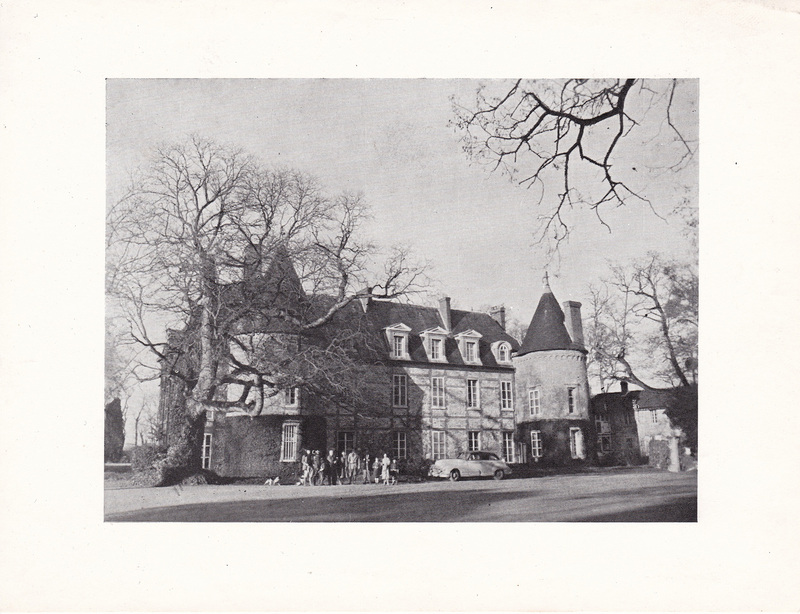 EDF-GDF fit l'acquisition du château et d'une partie du parc (6 ha) en 1956. 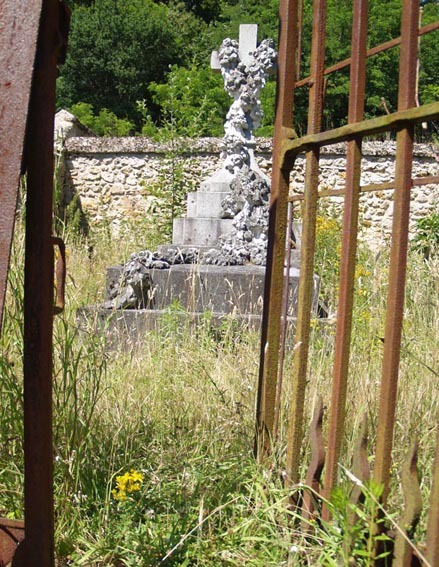 L'autre partie du domaine, ainsi que le pavillon, restèrent propriété d'un particulier. A l'origine, centre de perfectionnement des cadres des services nationaux, le Bréau est aujourd'hui un établissement de formation et de séminaires. 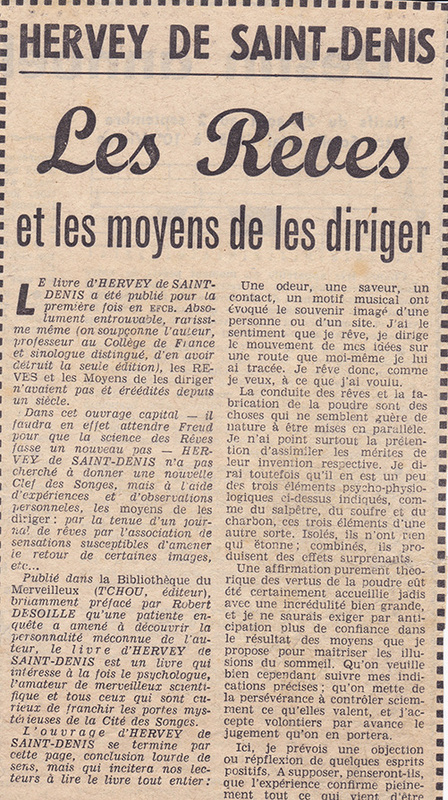 L'article est publié en septembre 1964, à l'occasion de la sortie de de la première réédition de l'ouvrage par Claude Tchou (l'édition originale par Amyot date de 1867). Je ne sais de quelle source l'auteur de l'article tient que Léon d'Hervey aurait "détruit" les ouvrages de la première édition ? C'est plutôt la faillite de l'éditeur, je pense, qui est la cause de la rareté des ouvrages publiés.